Kaleidoscope: Leave the light on. 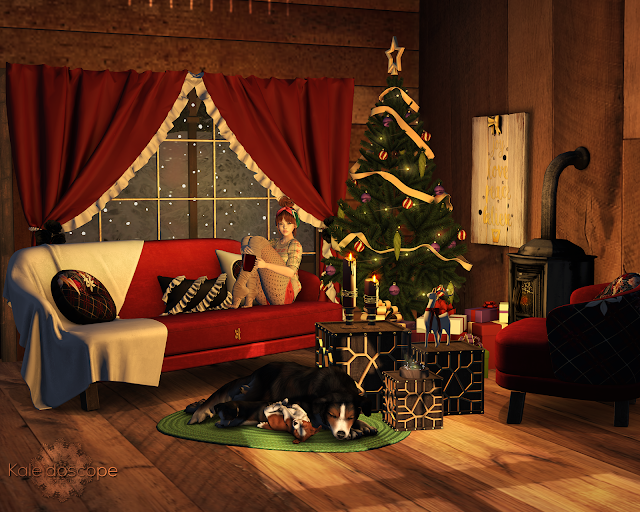 In fairness, I absolutely hate festivities before Dec 1st, however, when Moss&Mink dropped this Couch & Chair set, I needed to make a warm and cosy Christmassy area that you could cuddle up in contentedly. The beauty of the Moss&Mink brand is that no matter what your purchase, and no matter what your taste, you can make items fit with their insane colour/pattern hud, and whether you like your entire house to match or just one room, you can make that happen. With that said, there aren't multiple options when you purchase from Moss&Mink, there's one item (two, if there are pg and adult options), one extraordinarily reasonable price and the colour hud is usually included, so you can create your pastel dream, your classic perfection, or as above, an invitingly seasonal area for a few friends to gather together and bask in stylish comfort.